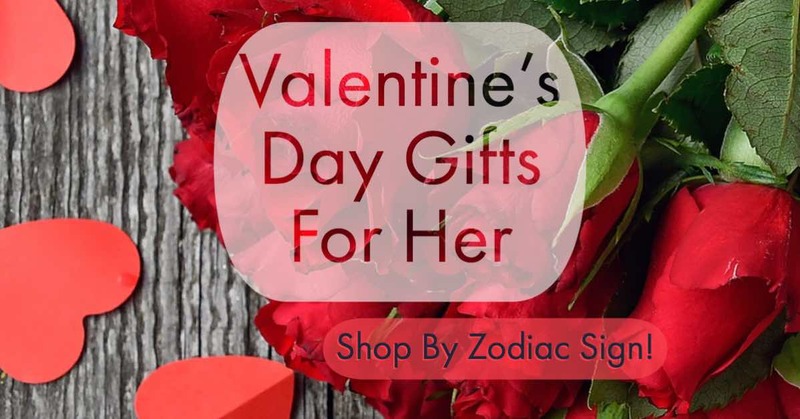 Valentine’s Day gifts for her are easy to find for your sweetheart—and for all the family and friends on your list—with our Valentine’s Day gift guide organized by zodiac sign. Let the stars guide your giving! It’s your essential guide to making this Valentine’s Day simple. Click below to find gift ideas for her—for every zodiac sign! If you need to check someone’s zodiac sign, you can find out instantly with our Zodiac Sign Chart. What does an Aries woman like? Diamonds, the color red, and precision knives, to name a few. Your fiery Aries will enjoy any of these presents because they’re a perfect fit with her take charge style! 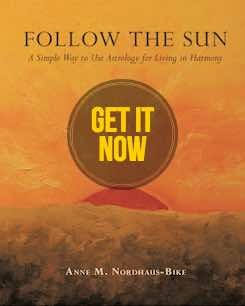 For Taurus women, life is filled with a love of nature as well as the finer things. She’ll love these present ideas, which give you a mix of beauty, comfort, and practicality—perfect for your Bull! The Gemini woman’s quick mind and gift for communication come through in her love of staying up with current events, jotting down interesting data, and love of talky animals. Try these newspaper leggings or pencils with amusing sayings—and help her relax her mind with a spa kit or bath salts. A Cancer woman loves her zodiac sign and symbol, the crab, and all other crustaceans. Try some on for size with these crustacean shoes or a crab necklace. A set of pearls will touch her heart, as they’re her sign’s beautiful gem. She’s probably a great cook, so help her collect all her recipes and create her own cookbook. A Leo woman has star power, so she needs her designer sunglasses (or a set of a dozen vintage cat shades for a party with pals). A showy lion pin, leopard steering wheel cover, or sunny yellow flowers with elegant chocolate will have her purring with delight. Health conscious Virgo women need workout gear and ways to measure exercise progress. After exercising, a cup of hot herbal tea using her spotless glass kettle and a handful of gourmet raw mixed nuts will refresh her. Help her avoid worry with a planner to organize her life and a deluxe lavender spa kit to relax! Libra ladies love luxury, from designer bags to elegant cashmere sweaters. Help your Scales goddess indulge with a natural rose dipped in gold, cloud bulletin board art paper that harmonizes with her airy nature, or pure jasmine essential oil, a scent she’ll love. Mysterious amber jewelry and zodiac crystal therapy will appeal to your deep and spiritually attuned Scorpio woman. She’s passionate, too, so an off shoulder crimson sweatshirt, black leather leggings, or a sensual massage kit will turn her head and turn her on. She’s devoted and made of steel, like the infinity steel artwork here—perfect! Always in motion and on the go, like a horse running free, the Sagittarius woman loves travel and the color red, so an 18-pocket red travel trench coat is perfect. She also likes to philosophize and seek the keys to life’s higher meaning, so an amethyst key charm necklace will bring delight. Help her slow down with indulgent international chocolates and Sagittarius essential oil blend! The Capricorn woman identifies with her symbol, the Goat, and a plush little goat or goat’s milk soap will appeal to her sense of humor. Often preoccupied with work or building her empire (at home or at the office), you can help her take good care with a weighted blanket to help her sleep or a top of the line electric toothbrush. A bonsai pine will remind her of her love of nature and the longevity her sign typically enjoys. Flowers and friendship for your beautiful Aquarius woman! She’s devoted to her friends, making a sterling silver friendship necklace a wonderful choice. While she loves high tech anything (such as a sleek Samsung Galaxy tablet) she typically feels drawn to orchids, her sign’s signature flower, so orchid bath products make a lovely present. Glamorize her sign’s special part of the body, her delicate ankles, with beautiful anklet jewelry, and help her tone down the electrifying side of her personality with a soothing, gently blooming flower tea set. The Pisces woman feels right at home with water, thanks to her sign’s symbol, the Fish. Try a live water lily, a plant associated with Pisces, or a colorful fish sculpture. Care for her sensitive tootsies with shea butter foot cream, and she’ll love a meditation bowl to tune in to her inner world.